This tutorial will help you reset the printing pads of the ME 32 Epson printer. 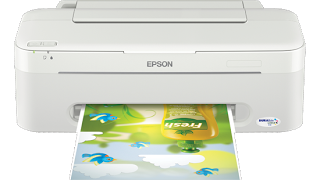 In this post, we will show you step by steps how to reset the ME 32 Epson printer. The ME 32 Epson printer is an efficient printer giving you good quality prints, this printer uses individual ink cartridge which is an advantage because it allows you to save money by replacing just the empty cartridge, not the entire ink set. Again, with this printer you can print up to 28 pages per minute in black common pages, compatible with Windows ® XP / XP Professional x64 Edition / Vista ™ / 7 Mac OS X ®10.4.11 and latest operative systems. When resetting the printing pads, no other printer should be connected to the same computer at the same time. You must download the WIC reset program to reset the printing pads. here is the link to follow: ME 32 Epson link. This document is hosted by Google Drive, to download the file check the manual guide and carefully follow the instructions. You will need to double-click on the file after unzipping it. 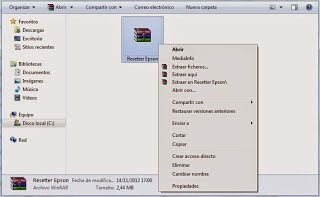 To run the file, please do a right click twice on it. Click on select, on your screen you must at the same page as the image below. In Model Name, the name of the reset you are trying to install will be shown because the destination part has not been modified and the Port leave the default option "AUTO SELECT". In this steps, you have to be extra careful because any mistake can completely delete the printer settings. You have to select the option called Waste Ink Pad Counter and then click Ok to continue. This option will reset the printer and indicate that there is no Ink waste. However, the manufacturer set a certain number of pages to be printed before receiving this error, when you have reached the limit set by the manufacturer you will automatically receive this error to avoid further damage into the printer. Now choose all the options display to select, afterward click on CHECK, to verify that everything is ok and click on ACCEPT, then click on INITIALIZATION and when the process is finished click on FINISH. If you have any question, you can leave us a comment below and we will get back to you as soon as possible. It is important for you to be able to download the Windows XP/Vista/7 drivers of the printer, get the user manual for free, (html).